The Vachel Lindsay Association promotes the work and ideals of poet Vachel Lindsay as well as helps preserve the Vachel Lindsay Home in Springfield, Illinois. To this end, we organize writing workshops, readings and other programs for the community. The workshops are conducted by published poets and writers with years of teaching experience. All fees are donated to the Vachel Lindsay Association and co-sponsoring organizations. Books, notecards, postcards and more are available from the Vachel Lindsay Association. More information is available here: OrderForm. Teen Writers: VOLTA call for poems! The Lindsay Illustration Contest Opens Soon! 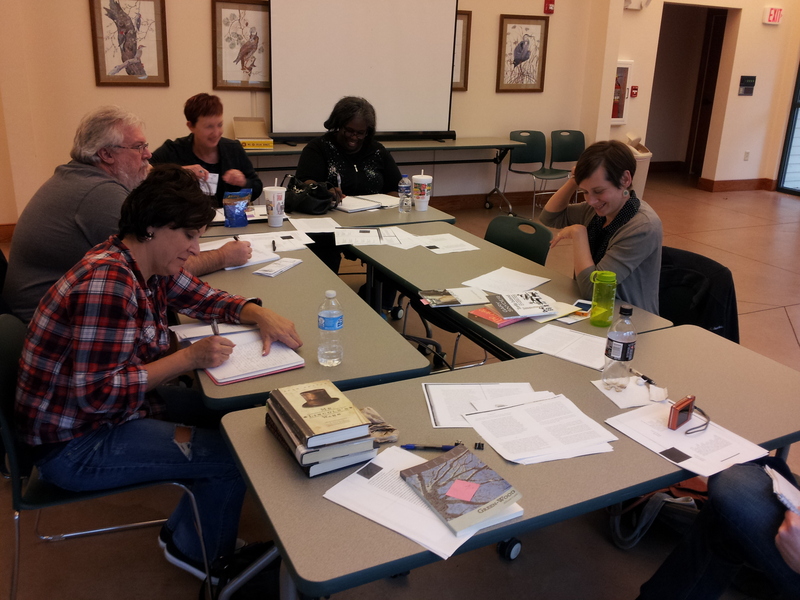 Workshop participants do some journaling at Adams Wildlife Sanctuary, November 2013.